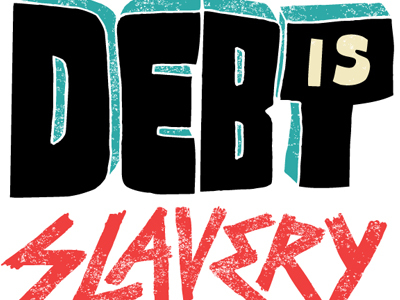 Debt is like having a millstone attached to your neck while you are trying to go on about your daily life. It isn’t pleasurable and it is often very painful. It causes stress and it adds more financial pressure to your household than there needs to be. It can also cause strain in your relationships. These tips will help you to annihilate your debt and continue to keep you on a path of a debt free lifestyle. First, however, let me start by saying that if you don’t understand who gives you the ability to make money, and the resources to pay that debt off, then that’s a more serious issue. God is the one who gave you your talents (Matthew 25:14-30) and he is the one who created you and who knew you before the foundation of time. He adores and loves you. His deepest desire is that we honor and glorify him in every faucet of life including finances. If your deepest aim in life is to amass wealth and material treasures then I have some sad news for you. You cannot drag a U-Haul behind your hearse. Your “stuff” will stay and accumulate dust while your soul WILL either go to be with the Lord or go to a place of utter despair: Hell. Want eternal joy? God can give it to you. Before you start worrying about your financial state and your debt please consider the state of your soul. It is much more valuable than anything you’re striving toward on this earth. So, now that we have gotten the light topic of your soul out of the way….shall we proceed to the tips I referred to earlier? Let’s. In order to annihilate debt you have to make a game plan. You can’t just sit back on your laurels and think it will dissolve by itself. If that were the case these posts wouldn’t exist and people would be living it up. You need to acknowledge where the leak in your boat is. Are you spending too much at restaurants or maybe too much on entertainment? Find the source and repair that hole. Maybe it is bringing lunch to work, or eating more dinners at home or perhaps finding free activities to do rather than spending $11 on a movie. The next thing you must examine is how much income you’re bringing in versus how much you are spending. Your goal should always be to spend less than you make. And if your argument is that if you only made more money you’d be okay I’d like to say that isn’t necessarily true. If you made more money you would more than likely just spend more. Your habits wouldn’t get better just because your pay increased. You have to live within your means and if that means cutting out some dinner dates or drinking coffee from home instead of at Starbucks then so be it! How much do you want your debt gone? I even had to reign in my wife’s spending recently. After a quick trip to her victoria secret credit card login we realized just how much she was spending on this card. Normally we only look at our major credit and debit card transactions. Items like store cards were totally off limits, but not anymore. Yes, I know, the dreaded word. It isn’t fun by any means, but it will be when you see that debt vanishing. My husband and I love the Mint app you can use either on the computer or on your phone. You can hook it up to your bank account and then set a limit for each category within your income. Whenever you make a purchase it will be automatically be linked and assigned to its appropriate category. This is especially helpful for the beginning if you don’t know where you need to scale back. After discovering where your weaknesses are by creating a budget and examining your finances avoid those temptations! Don’t stop at Starbucks but instead bring a travel cup of coffee with you. Brown bag your lunch! Another smart tip is that if you don’t have the money to buy something and you are going to the mall then leave my card at home or in the glove box. This ensures you won’t spend money you don’t have and will ACTUALLY window show instead of accumulate more debt. Pinpoint what your weaknesses are and make sure you have a cheaper alternative ready! Strategies like these will seem petty in the short term, but I promise will add up significantly in the long-run. These tips will help you to annihilate your debt and free you of any shackles you may have with a credit card company. Be diligent and be budgeting! I promise, in the long run, you will be happy you did.